Finding the right fit for your staff can be a daunting task. We understand both the importance of hiring the right staff and the effort required to find them like other employment agencies. 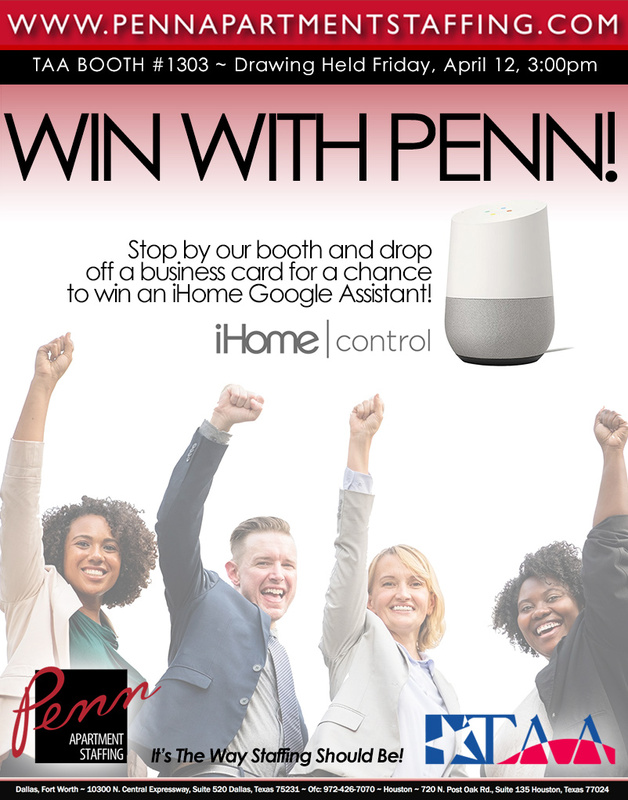 With Penn Apartment Staffing, we eliminate the hassle and find them for you. With our intensive interview, screening, and training process, you can trust that we will find the right person for you and your company. 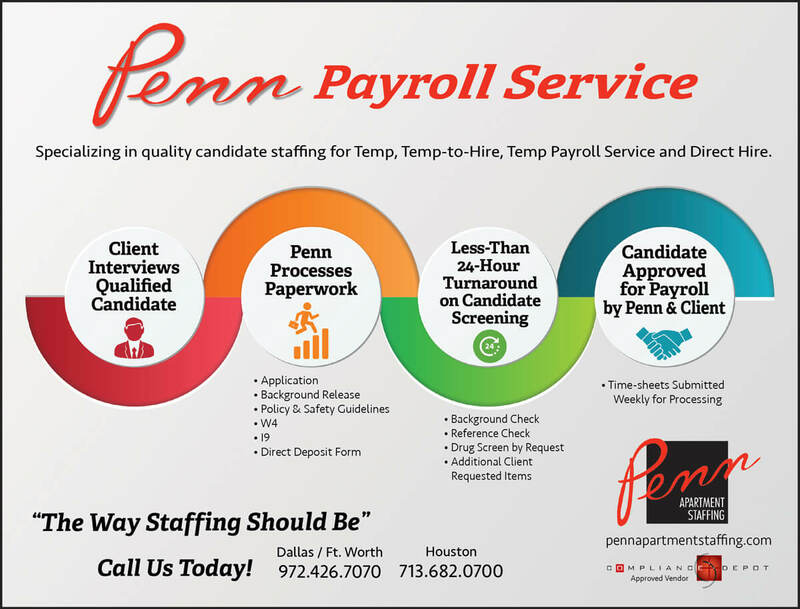 Penn Apartment Staffing provides quality full-time and temporary staffing for the apartment industry in Dallas, Fort Worth, and Houston, Texas by recruiting outstanding candidates to meet all your staffing needs. We staff candidates for Property Manager, Assistant Manager, Leasing Consultant, Lead Maintenance, Assistant Maintenance, Make Ready, and Porter / Groundskeeper positions for Direct Hire, Temp-to-Perm, and TEMP opportunities. We also provide payroll services.